The Rainer deploys launches or small boats such as the RA-4 that have different tasks assigned to them listed on the POD or the Plan of the Day. 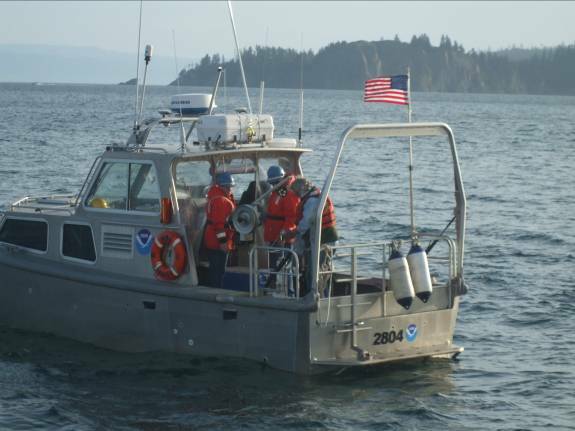 Today, our mission was to survey a section of the sea floor in Kachemak Bay. Once the survey has been completed, the raw data is processed and then is sent to other NOAA’s National Ocean Service divisions to create nautical charts of the sea floor for either updating for accuracy or created for the first time. This was our chart at the beginning of the day. This is our chart after a hard days work! Can you see what we surveyed? Yes, you are correct if you said the purple and green-blue mixture. The first step that was taken was putting a cast in the water, which is called a CTD and stands for Conductivity, Temperature, and Depth. The CTD is used to see the changes in sound velocity all the way to the bottom. This process is repeated at least every four hours for readings. This sound velocity data is used to correct the multi beam sonar data. The computer is able to translate the multi-beam sonar data in a 3-D image of the sea floor. 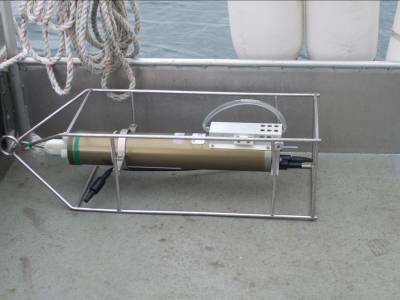 The CTD, which measures conductivity, temperature, and depth. I am getting used to my routine living on a ship. The main idea is respecting others and their space. Listening to others and following the rules. Asking lots of questions will help you transition easily. Following others advice. Enjoying the company you are with. Having fun on every adventure that is given to you. I am learning so much, and each day I am feeling more and more comfortable here in my new home on the Rainier. Wow, I am a student here on the Rainier! I am learning new words and terms everyday. Just today I found out a FISH is not an animal, but an instrument that is towed behind a boat on a cable and “swims” through the water. One example is a Moving Vessel Profiler or a MVP. This apparatus collects the same information as the CTD; however, it collects the information in real time. It is smart to have the CTD and the MVP on the launch to compare the same data to make sure it is correct. 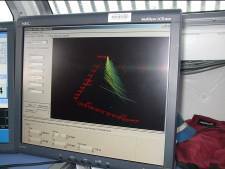 This is a screen that is read by the hydrographers that shows the 3-D sonar images of the bottom of the sea floor. Today, some of our readings were more than 500ft deep. WOW! 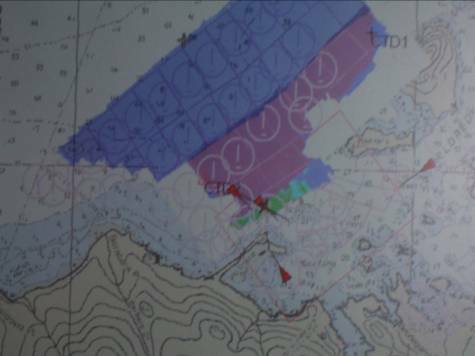 When we survey a section of the sea floor that was previously surveyed that is called junctioning, or overlapping. Holidays are not the days on a calendar, but stands for “holes in the data”. 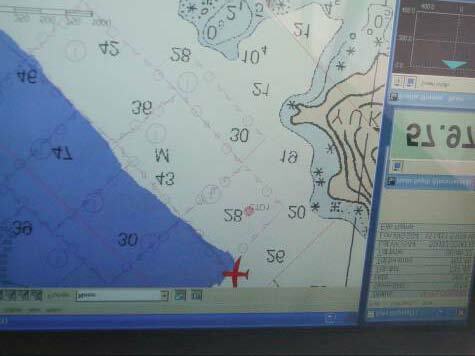 That means after you survey a section of the sea floor, if there is a missed section on the computer screen you must go back and re-survey that area. This entry was posted in 2009, NOAA Teacher at Sea, Rita Larson and tagged CTD, glacier, Hydrographic survey, moving vessel profile, multibeam sonar, noaa ship rainier, seafloor mapping, survey area, wildlife. Bookmark the permalink.